Last week my 12 year old asked me to teach her how to sew. She had previously worked on some hand stitching projects and I agreed that it was time to teach her how to sew with my machine. It was also time to share my sewing machine...and my fabric. She had been browsing some of my Ottobre magazines and wanted me to make her a dress. I suggested that we find a simple pattern for her to work on. She can move up to clothes once she has some practice. After browsing my PDF pattern collection, she chose this one: Lucky the Elephant. We worked on Lucky the elephant two evenings in a row for about an hour each night. I printed out the pattern and instructions so she could follow along. She put the pattern together and chose the fabric herself. She pinned and cut out the pieces. She even learned how to clip the curves and sew on a curve. This was a beginner pattern, but she did have to sew some curves so that was definitely a challenge for her! She is proud of the finished product and ended up gifting Lucky to a friend as an Easter gift. And now that she has some confidence, she can make many more! 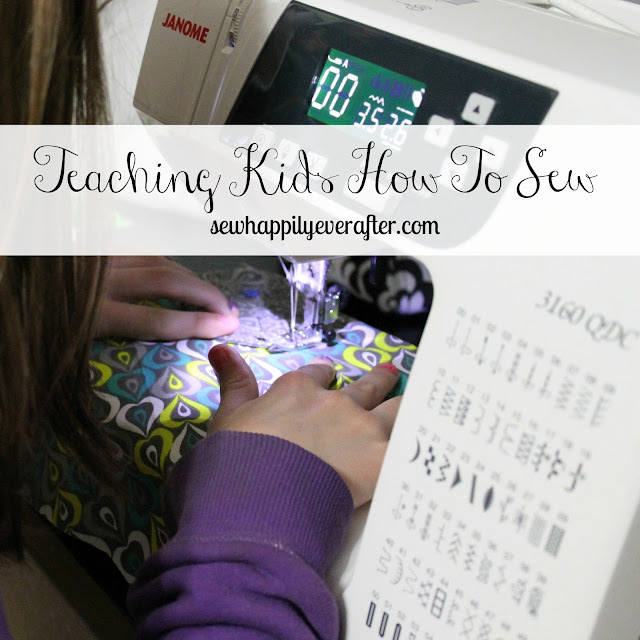 Sewing is a skill that I have always wanted to pass down to my kids, but I also realized that I couldn't force that skill on them otherwise they wouldn't enjoy it. And if they didn't enjoy it, they wouldn't want to ever sew. I simply waited until she asked to learn how to sew. Now they have all sewn on the sewing machine before, but I just would let them make whatever they wanted. We didn't follow patterns or anything like that. This time she wanted to learn how to sew "the right way" so we followed a pattern. It was fun and now she can't wait to make some more elephants or even another simple pattern. I'd love to hear your thoughts and ideas! I'm Linda, a work at home homeschool mom, saved by grace living by faith. I blog about sewing, homeschooling, wellness, and life at Rose Academy. I hope you will read along and be inspired to create lovely things, live a chemically free lifestyle, as well as treasure each day with your family. Linda Rose 2016. Simple theme. Powered by Blogger.